Growing up in Iowa, one learns to bundle up and brave the cold and, in doing so, it usually results in a much-anticipated piping cup of hot chocolate. This makes the trek all the worth while, but why settle with a Swiss Miss packet when you can add a little kick to your cocoa (hint: it involves ice cream)? 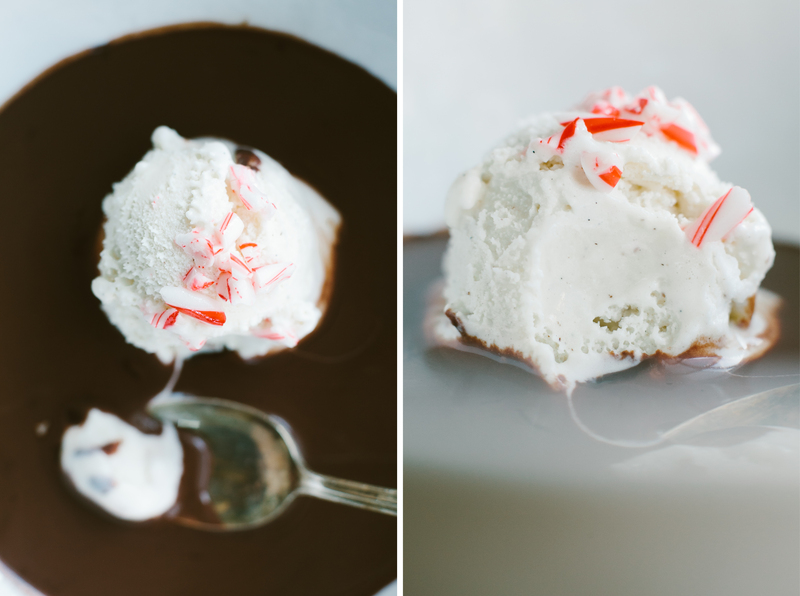 Read on to learn how to make peppermint hot chocolate just in time for the holidays! In a small saucepan over medium heat, bring the milk to a gentle boil. Whisk together the cocoa powder and sugar in a small bowl. Remove the saucepan from the heat, then whisk in the cocoa powder mixture along with the chocolate, salt, and peppermint extract or oil. Strain hot chocolate if any little lumps remain. Bare in mind, hot chocolate will keep, covered and refrigerated, for only two weeks. Add a scoop of vanilla ice cream to a small bowl or mug. 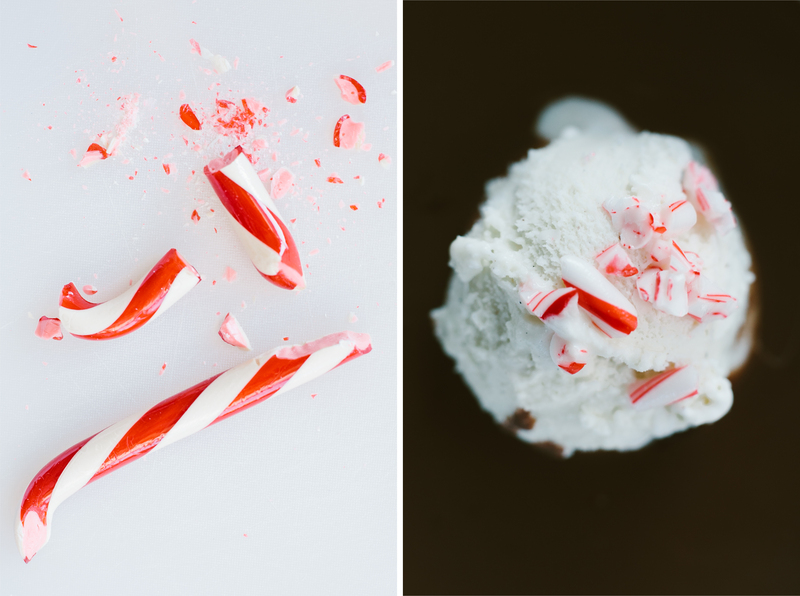 Pour 1/4 cup of warm hot chocolate over the ice cream then finish with crumbs of candy cane. For more tasty recipes like this, head on over to one of my favorite foodie blogs, Not Without Salt!